The Granger family has almost settled its home into a new house (new to us; it’s a bungalow closer to 100, I’m guessing, than 75 years old) in Oklahoma City. I’ve started a new job — reading Kidnapped and learning Latin fundamentals with nine young friends — and have hopes of one day returning to writing here more than once a month. Right now, still spinning in the learning curve and re-location maelstrom, those seem to be vain hopes, but we’ll see what God and my commitments here allow. Building and putting up a yurt is pretty time intensive, I’m learning. Fortunately, I have an email inbox full of Guest Posts that serious readers from around fandom have been sending me, all of which are better than anything I might be writing in the distracted state I am in. I will be sharing these over the next two weeks for your comment and consideration. The first is from William Sprague and touches on two subjects close to HogPro All-Pro hearts, namely, Ring Composition and Literary Alchemy. Mr. Sprague makes the argument that the front and back of the series ring is a set of parallel analogies with the front being a reverse alchemical process (i.e., rubedo, albedo, nigredo) to match the return trip’s proper order. I confess to being intrigued by the idea — and delighted by his exposition. I trust you will be as well. Take it away, Mr. Sprague! Thank you, John! 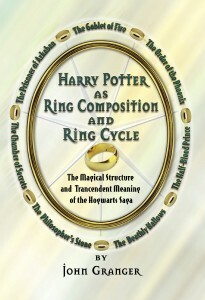 After reading the book Harry Potter as Ring Composition, I found myself wondering if the Alchemical process itself worked on a book-to-book level as a chiasm as well. It seemed strange to me that the fifth, sixth and seventh books were so obviously black, white and red respectively yet their chiastic counterparts were not alchemically colored as well. It then dawned on me that the first book was named Harry Potter and the Philosopher’s Stone. That Stone is the end of the alchemical process, not its beginning. I began from there and began to see a sort of theoretically reversed alchemical process that finds its end in the lead-like Incarnation of the Dark Lord. We see the pattern of red, white, and black in the first three books; the following three paragraphs will spell out some of the reverse-alchemical aspects of each of these books. We start with the Philosopher’s Stone, and “Red” Rubeus Hagrid as the cabby for Harry (who turns out to be the True/Good Philosopher’s Stone in the seventh book) and the Stone itself retrieved from Gringotts. Hagrid is constantly around Harry throughout the book because he is “Red”. Interestingly, the actual problem of the whole series is what the Philosopher’s Stone itself represents: undying life apart from love. It is not a solution because it is an alchemical object instead of the alchemical subject. Of course, it is a red stone, and is destroyed at the end, thus ending the reverse rubedo. As is fitting in a white book, water is everywhere throughout Chamber. 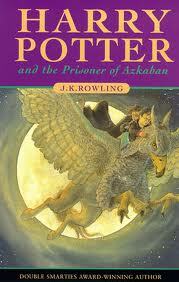 In the sixth book, the ablution and purification that Harry goes through revolve around his occlumency lessons. He is attempting to control/eradicate his connection with Voldemort within his mind. In Chamber he discovers impurities in himself, such as Parselmouth, which marks him as the Heir of Slytherin because of Voldemort within him. Moreover, the water that is present is the means by which the serpent moves. The water itself is impure as a result. Lucius Malfoy (a white haired, pale fellow) is the initiator instead of Dumbledore; the reverse Alchemist is wicked. This implies that it is not a redemptive albedo. At the end of the book Dumbledore reveals that Voldemort is in Harry; there is impurity within. This is the opposite of the albedo process which is intended to get rid of impurities in the subject! Sirius Black is a main player in Prisoner, just as he is in the fifth book. Dementors are black beings that play a sort of reverse nigredo on the object of their kiss: they take away everything except the body, while the nigredo is supposed to [do the opposite?]. In a crucial Quidditch match, Harry doesn’t catch the snitch (prima materia) but rather falls from his broomstick. Harry keeps on reliving his parents’ death, an important nigredo theme; however, it is clear that the nigredo is working backwards because the message of the book is that the dead, those we lose in the nigredo, are always with us. Sirius Black is actually something gained at the end of the book, which makes Harry no longer family-less, no longer an orphan. This is the opposite of the loss of Black in the fifth book, the true nigredo. The product of the alchemical process in reverse is the Incarnation of the Dark Lord. I can’t think of any one product more lead-like in composition. 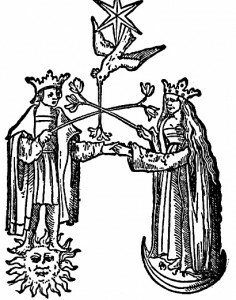 The Black Mass process is a reversal of a Holy thing, and the product is the polar opposite of the alchemical product (gold/Philosopher’s Stone, which gives life). The Alchemist throughout this process was definitely a bad guy (Moody impostor) and the object was Harry (the Subject of the three reverse alchemical processes) during the Triwizard tournament challenges. The reverse process is completed when Voldemort is incarnated, and the true Alchemy (books 5-7) results in his final destruction. That said, I don’t believe that Harry becomes worse throughout the reverse alchemical processes, but that he is shown to be the means by which the worst anti-alchemical product could be attained. It is hard to imagine Alchemy working this way in each individual book’s chiastic structure, but I would not be surprised if it did. I hope that somebody else works that out, if it is indeed true. The series, despite this chiastic structure is still a linear series where Harry goes through multiple correct alchemical processes and ends up as the true Philosopher’s Stone (as a Subject) who can thereby give to his friends a sacrificial love that grants true life and fears no death. 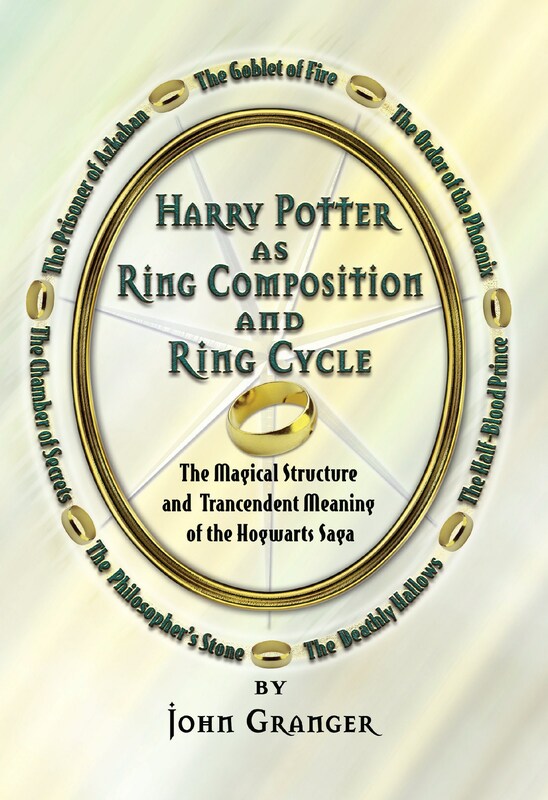 For More on Ring Composition and Literary Alchemy, see John’s lecture notes on Ring Composition, his Deathly Hallows Lectures, and the essays on chiasmus and Goblet of Fire in the new essay collection Harry Potter for Nerds. Trudat. We be crazy fo chiasm as always. Wow! Jo’s continued brilliance (and everyone else’s for spotting this stuff) never ceases to amaze me. Great job! John, do we have an ETA for your rerelease of “HP Unlocked” with all of the ring composition stuff? I’m eager to have that on my shelf for once and all. 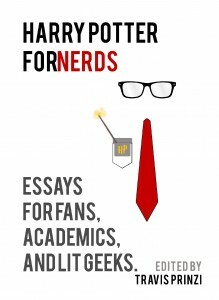 I haven’t had the chance to pick up HP for Nerds yet, but I’m looking foward to that, as well. (Muggles and Gringotts)–and revealed, or brought into the light. The material stone (physical eternal life) is destroyed in PS/SS and Harry (spiritual eternal life) triumphs in DH (and Harry buries the Elder Wand, a symbol of physical “eternal life”). With my limited knowledge on the subject, I’m unable to really articulate or expand on this, it’s just a thought. Kat, the HP for Nerds link above goes to Amazon where it’s in stock! My copy is in transit and I’m eager for its arrival. I too am eager for an updated “Unlocking,” and for some reason am imagining John working on it in the yurt, as soon as it’s built and comfortable. Speculation on my part, of course. Forgot to say I love this theory, especially Malfoy the white-haired evil influence in book 2 balancing Dumbledore in book 6. Brilliant! Intriguing indeed! And very convincing to think that Rowling buttresses her symmetrical structure this way. I just remembered a post I wrote which may relate. Lupin mentions the “first stage of the operation”, and I always wondered why this was in Book 3 rather than Book 1. This post provides the best explanation for this, and again I say well done. We were always talking about chiasm over at Mugglematters–like I said we’re crazy about it. I really appreciate this analysis. Well done, William. @Pauli: Thanks so much for that amazing post! It really does seem to be more evidence of Rowling’s genius in construction… I am not a very detail oriented reader (so analysis of your variety is something I envy greatly!) and I am glad that there are people like you that can think like that! 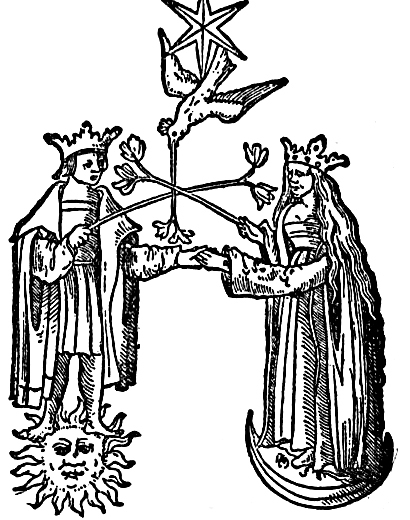 I think a re-reading of the first, second, and third books is in order with especial attention to alchemical wickedness (object-oriented or death-fleeing Alchemy). Thanks for the encouragement everybody! And God bless! 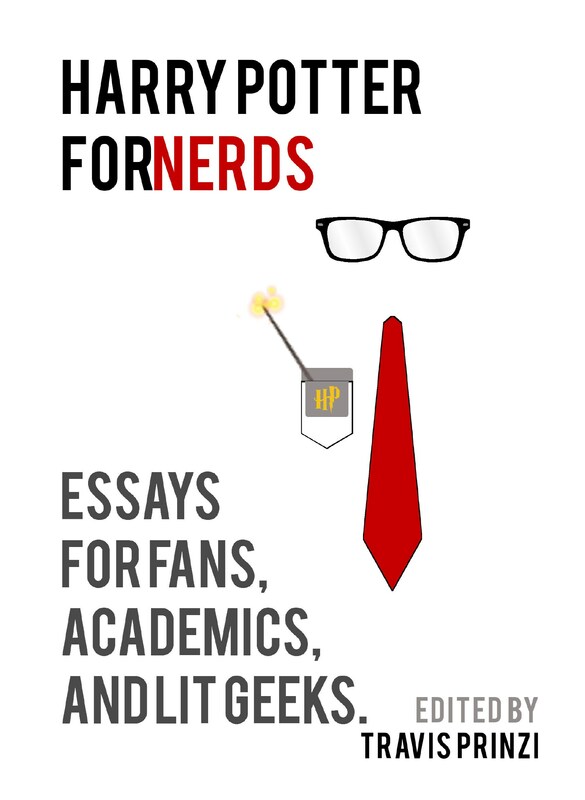 Thank you for writing such an interesting essay, though I wanted to point out that Harry does not study occlumency in book 6, He actually studies it in book 5, and never manages to master it at all ( interestingly, this will help him find the horcruxes in the end). Instead, he spends book 6 following Draco, and blindly experimenting with dark magic hexes from Snape’s potions book, which almost results in Draco’s murder. And so is it present in the sixth book, namely, when Harry leaves Draco in a pool of blood and water, and also when he goes to the cave with Dumbledore. So I’m curious, what do you think Draco represent here? Is he like his father, the “wicked alchemist” or does he somehow represent the opposite? I was in Scotland last month (for my honeymoon! yay! ), and the one thing I was determined to bring back was a copy of the British texts. So last night I picked up my newly acquired copy of Harry Potter and the Philospher’s Stone for some quick reading. And I couldn’t help but notice all the references to scarlet, red, and gold. I’m only about 100 pages in (school just started), but this is seeming accurate from the “number of times red and gold are mentioned” standpoint. Did you know that the goblins at Gringotts wear scarlet and gold uniforms? And that when Harry’s wand is put in his hand for the first time, it’s red and gold sparks that come out? And because it’s the first book, I’m guessing Gryffindor’s red and gold colors can count toward this total as well. I will definitely be keeping my eye out for more such instances as I keep reading. There was some discussion as to whether or not JKR was influenced or inspired by Dante regarding ring composition and alchemy. I think I picked up a hint. Jo never mentions specifically the Divine Comedy or Dante, but when asked her favorite authors, many times she said Dorothy Sayers. Do I think it’s because of Lord Peter Whimsy?? No I do not. I think it’s because Dorothy Sayers wrote the most commonly in print translation of the Divine Comedy. DS said it was the work she was the most proud of and considered it her magnum opus. That sounds like the right connection to me. The Rev Joe Packer, it turns out, proposed this idea back in 2007!